Offer is for the Gold Cutter, the silver is available in our ebay store. Handsome Gold cutter with Stainless Steel blades in a unique design! 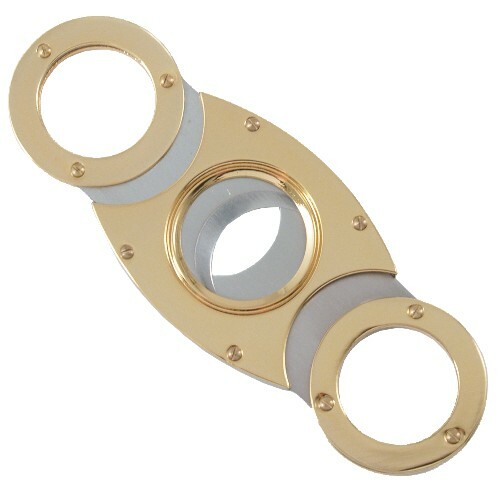 Contrasting stainless blades and shiny gold frame with smooth operation, this cutter will be your favorite. It comes gift boxed, so consider this as a gift for someone special or better yet for yourself!